August 27, 2018 (Los Angeles, CA) – Valiant Entertainment is proud to announce a partnership with KBOOM,a new foreign publishing house that will license and distribute a selection of its critically acclaimed titles in print in the Polish language. 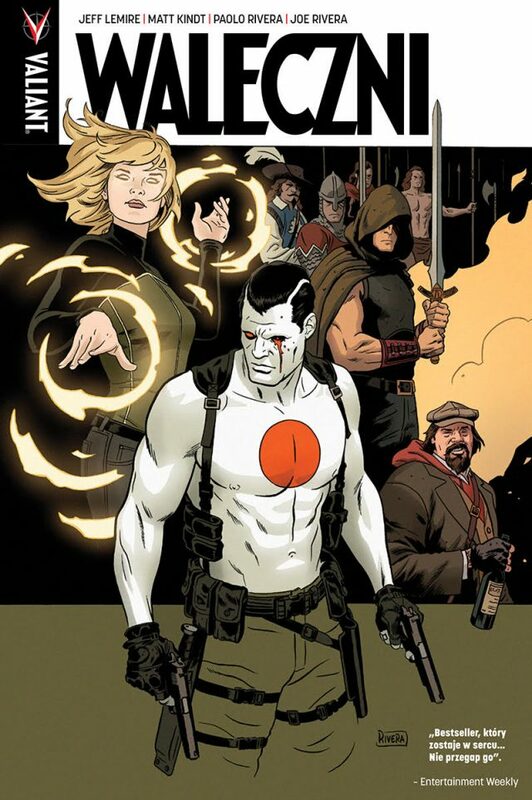 The program will begin with the publication of the Polish-language version of THE VALIANT, which will make its debut at the International Festival of Comics and Games, September 14-16, in Łódź, Poland. KBOOM is the latest in a long line of foreign partners to join in publishing Valiant titles around the world, which also currently includes Graphic India in South and Southeast Asia, Pedastudio in Nigeria, Bliss Comics in France, Büyülü Dükkan in Turkey, China Mobile in China, Jambô Editora in Brazil, Kamite in Mexico, Lezhin in Korea, Medusa Comics in Spain, NHN Comico in Japan, OVNI Press throughout Latin America, ShoPro in Japan, Social Comics in Brazil, Sokol Express in Russia, Schwerkraft-Verlag in Germany, Star Comics in Italy, Viverra in Russia, and World Publishing in China.